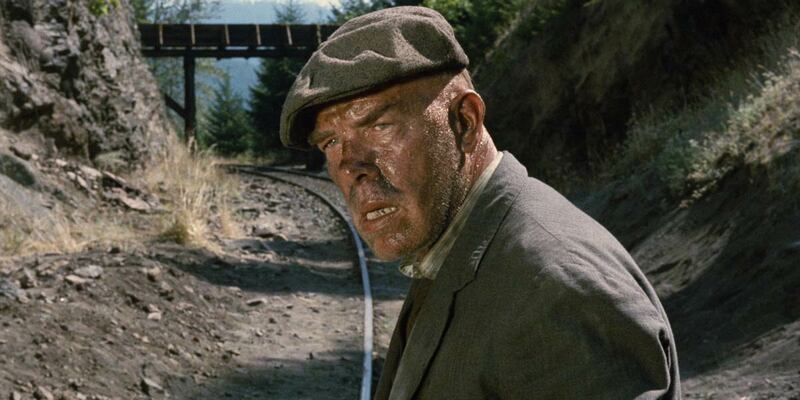 There ain’t nobody like Lee Marvin. Nobody. Robert Aldrich’s 1973 film ‘Emperor of the North‘ pits the one and only Lee Marvin against a steely-eyed Ernst Borgnine in an epic gladiator by train duel. A lost gem of 70s cinema as steeped in social commentary as it is in action and thrills. Without any need for politically correct nonsense or strapped by censorship BS, Aldrich tackles tyranny and oppression head on. In 1933 the Great Depression had sunk its claws into every fabric of America’s so-called civilization. The only thing still connecting these lost to the system scavengers to the real world was the railroad. Marking the birth of the hobo and his nomadic “free” way of living. And standing in their way was “the Railroad man”. ‘Emperor’ pits legendary hobo “A No. 1” (Lee Marvin) against the ruthless railroad tyrant “Shack” (Ernest Borgnine). Their deadly rivalry is more Shakespearean than grounded realism. 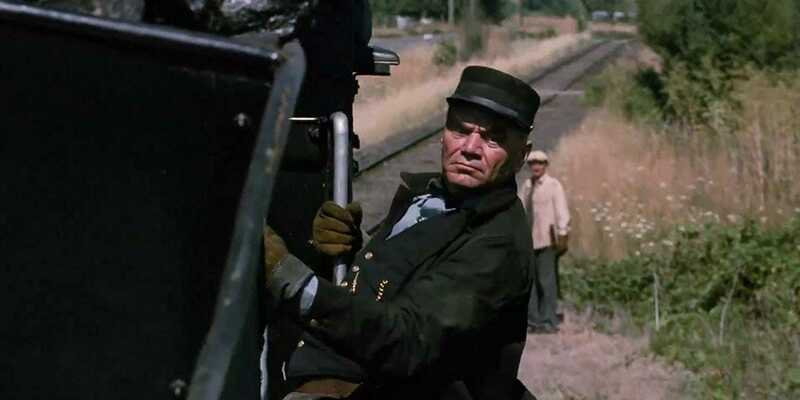 Marvin and Borgnine dominate the screen playing hardened, stripped of emotion nemeses more concerned with destroying each other than any silly notions of right and wrong. Heartless corporate greed versus the free spirit of the common man. Sound familiar? This tale could have easily gone “off the rails” with hammy performances and over the top Tom and Jerry styled antics. Yet, through all the chasing and fighting are these eloquent, scarring speeches that lay bare the honest, hard truth of things. Hobo poetry shed as both acerbic confession and as vituperation against the world that’s done them wrong. “A no. 1” seeks his train. 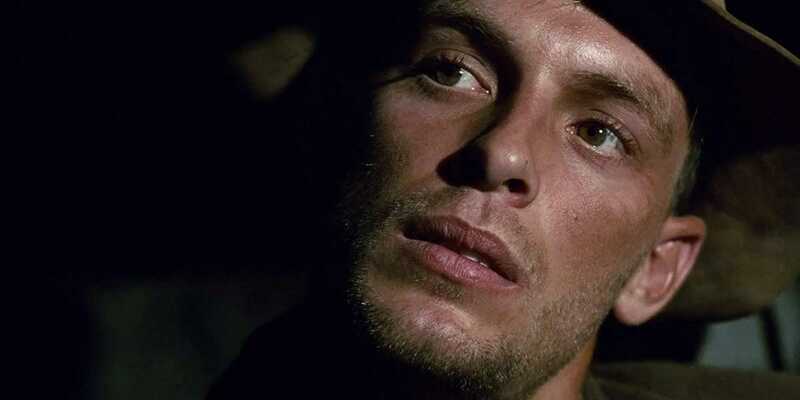 Keith Carradine as just another lost soul. No one rides Shack’s train for free. 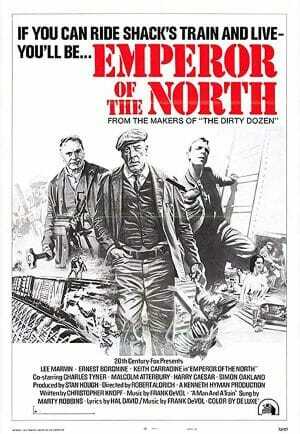 ‘Emperor of the North‘ is an odd film to classify. It’s witty, depressing, brutal, fanciful, mean, generous, dramatic, and peppered with action. A sea of contradictions that reflects a rough period in American history that we’d just as soon forget about. With fierce direction, dialog, and performances its well-worth any effort to find a copy. 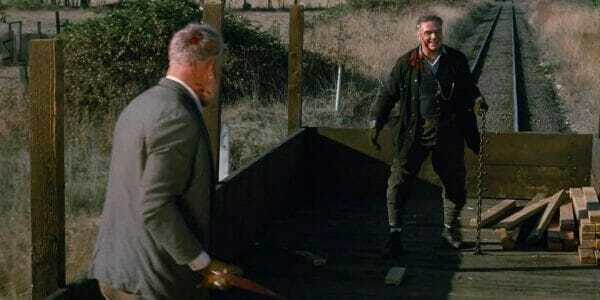 This bold, socially conscious adventure film pits two screen legends against each other in mortal combat over the soul of America during the Great Depression.